Would like to wish everyone a safe and enjoyable Easter break – hope the weather improves and we have a little ray of sunshine. Will see you all on 8th April. Here is a newsletter from P3 telling you that they have been learning lots of exciting things recently from Poland to the Northern Lights. Here is the Spring Newsletter from the National Parent Forum of Scotland. Tickets are still available for the ever popular Easter Chick Drive on Monday 18th March at 6.30pm. Please use the attached form to order your tickets but hurry they sell out fast. Donations also welcome for the Easter Egg Tombola – please hand into school by Monday 18th March – thanks! If you have children approaching or in the senior phase of Curriculum for Excellence here is a short video put on You Tube by Preston Lodge High School which explains this phase very clearly. A great way to get the message over and well worth a watch even if your children are not in this phase. Don’t forget it’s the parental consultations on Wednesday and Thursday this week. The book fair will of course be running and there will also be a sale of discontinued school uniform stock so you could bag a bargain. Orders are also being taken for a delivery around May/June. The next Parent Council meeting will be held on Thursday 14th March at 7pm in the staff room. We will be starting to put plans together for Lasswades Got Talent so if you can help out please come along to the meeting as we always needs lots of hands on deck to make it a successful evening. Even if you can’t make it along then you may be able to help us acquire raffle prizes from local companies which can help raise funds for the school. 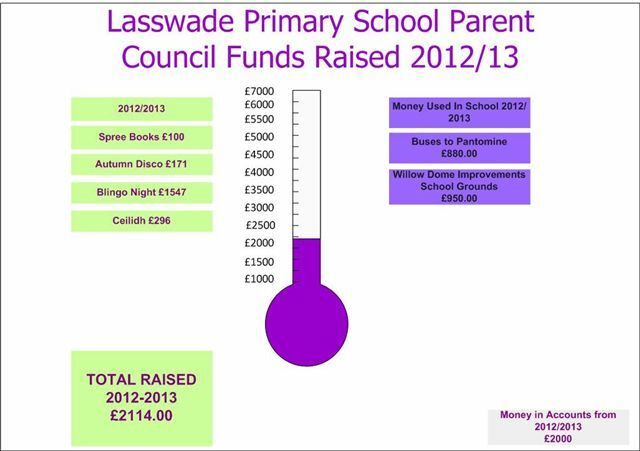 Here’s what we have raised so far for the school this year and with a successful Lasswades Got Talent this could rise significantly. Parents are warmly invited to meet together to discuss educational matters which support our understanding of learning. Research has demonstrated that the Spoken Language underpins Literacy. Consistent daily attention to words is important as children learn 2000-3000 words per year. 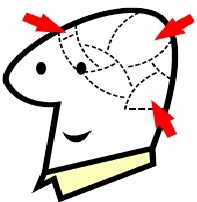 This is an area which is critical to all pupils and there are simple researched techniques which support home and school assist children learn and embed new vocabulary.